For three Januaries now I’ve told myself that NEXT YEAR I’ll be proactive and write my ‘best of’ post before the calendar actually flips. And every time the holidays come around, I sabotage myself with poor time management. But if that’s the worst of my blog failings, I figure I’m doing well. The following books weren’t necessarily published in 2011, but I picked them up and blogged about them during the year. Note: if you find yourself wanting to give one a try, please check out the giveaway at the end of this post. Without further ado, my ‘best of 2011’ list! Cinder by Marissa Meyer – A sci-fi/fairytale mashup with a unique premise, fun characters, and a wonderful hook. I’ll be looking forward to Marissa Meyer books for years to come. Down the Mysterly River by Bill Willingham – I’m a big Willingham fan, and this foray into middle grade adventure only solidified that affinity. Talking animals and a grand chase? Yes please! Fever Crumb by Philip Reeve – One of the things that has impressed me with YA authors taking on steampunk is that the books tend to be smart, epic, AND emotionally riveting. Can’t wait to read more in this series! Pegasus by Robin McKinley – Robin can do no wrong (as far as I’m concerned), and in the best of her books, she sets the whole world right. Pegasus is the first portion of a longer story that already has a place on my ‘all time favorite’ shelf. Rot & Ruin by Jonathan Maberry – An excellent meditation on human nature, this gritty novel explores what people can, and cannot, stand to witness. Also: zombies. The Girl Who Circumnavigated Fairyland in a Ship of Her Own Making by Catherynne M. Valente – The most beautiful story I’ve read in years? Perhaps. Certainly the one with the loveliest language and sweetest imagination. +10 points and an extra happily ever after. The Name of the Star by Maureen Johnson – I finally read a Maureen Johnson book, and I liked her prose even more than I expected to. This is SUCH a good story, besides also being the perfect teen book. It’s well-written contemporary, with tiny splashes of horror. The Princess Curse by Merrie Haskell – I have a thing for fairy tales retold. This middle grade fantasy set in Middle Ages Eastern Europe was especially good, and reminded me of Karen Cushman’s award-winning historicals. 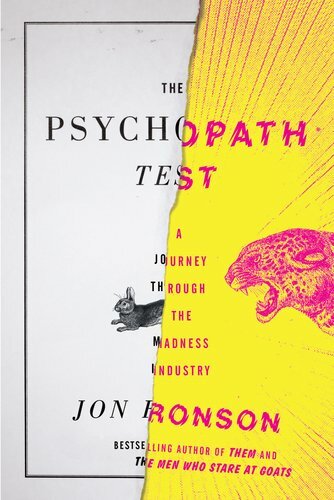 The Psychopath Test by Jon Ronson – The lone non-fiction selection on my list, this book offered conversational fodder for six months and proved to be an unexpectedly good present for Mother’s Day. The Scorpio Races by Maggie Stiefvater – One of the books that truly took me to another place and showed me its magic, history and heartbreak. An honest and beautiful story, especially as it was so unexpected. Witchlanders by Lena Coakley – A strong debut fantasy with excellent world-building and an epic plotline. Sean Griswold’s Head by Lindsey Leavitt – A sweet story about an slightly OCD girl dealing with family tragedy and finding new ways to cope. And there you have it – my top ten of 2011, plus two honorable mentions. I’ll give away one book from this list to two lucky winners. To enter, simply fill out the FORM. Giveaway open internationally (books to be shipped from the Book Depository); it will end January 30th at 11:59pm EST. Winners will be selected randomly and notified via email. For an extra entry, comment on this post telling me some of your favorite books of 2011 (and feel free to link your blog post, if you have one). Good luck! yay! i've read one of these! I loved The Girl Who Circumnavigated Fairyland in a Ship of her Own Making! Cinder seems to have received consistently good reviews but it just doesn't appeal to me - though I love the cover. I would put Divergent, Delirium, and The Name of the Star on my best of 2011 list. Looks like an interesting list. I would add Hourglass and the Hex Hall series to this list - loved them! The Girl Who Circumnavigated Fairyland in a Ship of Her Own Making is also on my list! WOW!!!! I am so happy to see another blogger have a lot of love for Philip Reeve's books!!! They are a bit hard to find in the US since they are out of print (but not yet rereleased by Scholastic US) but you should DEFINITELY try to find his Mortal Engines quartet. It's SO GOOD. Well Shatter Me and the Unbecoming of Mara Dyer were fabulous for me this past year. I also thought that Divergent and Legend were hits on my list. You read some great ones. I keep hearing about Name of the Stars and I'm excited to try it. This is such a wide range of genres. Love it! I loved Cinder as well, but I haven't had a chance to read most of the others on your list. I think my other favorite book of 2011 was probably The Hunger Games, which I finally got to. I haven't read Cinder yet, though I have it on my shelf and I've heard good things. I was loving 11/22/63 last year, but Among Others ranked in as my favorite for 2011. I need to get on to reading these. Down the Mysterly River and The Girl Who Circumnavigated also made NPR's best sci-fi/fantasy '11 list. I'm reading CINDER now and loving it! When I first received it, I wasn't eager to read it, but then I started in and got totally hooked. It's so much fun! I'm familiar with a few titles on your list and will check out the others. Thanks for sharing! Some great books. I want to read them all. I haven´t read any of them but I need to read soon Cinder and The Scorpio Races. My list of best books would be a mile long and many have been mentioned here. So I'll mention one of my favorite non-2011 books I read this year: My Most Excellent Year by Steve Kluger. I read and loved THE SCORPIO RACES. Most of the rest are on my tbr. I'm really excited for CINDER and FAIRY LAND. I was skeptical about Cinder when I first heard about it, but lately it's been nothing but praise. I'm getting excited to check it out! I AM SO EXCITED ABOUT THIS LIST YOU POSTED!!!! The only book I've read on your list is Rot & Ruin, which I LOVED! Some of the books I knew about and have been dying to get a copy of. The others that I haven't heard of, I looked up and they look Amazing! You have compiled a really excellent list! Rot and Ruin is one of my fav books ever. Starcrossed by Josephine Angelini and The Warrior Heir by Cindy Chima Williams (which was published in 2007 but I just read this year). A very good list, and had I bothered to put nonfiction on my fave lists I would have included Psychopath Test, too--thanks again for sending that to me, by the way. My faves can be found here. 2012 is shaping up to be a great year for reading, too. I need to read Name of the Star. Thanks for the giveaway! Awesome list. I've read Witchlanders and The Name of the Star and they were both pretty good. I loved so many books in 2011! Honourable mentions are Divergent, Harmonic Feedback, Between Shades Of Gray, Where She Went, Graceling, Touch Of Power, Birthmarked & Prized, Lola and the Boy Next Door, Wanderlove and some others. I haven't read any of these yet (although I've heard of about half of them). I have a tendency to wait until I can get books from the library, so I'm not always up to date on recent releases. Some of my favourite books of 2011 were Looking for Alaska, Anna and the French Kiss, Lola and the Boy Next Door...I could go on, of course. I haven't read many of thiese books yet, so it would be awesome to win =) Thank you for the giveaway! Great list! I'm going to buy some of these for my family now. Great choices! I've been wanting to read almost all of these for a while now. I read the Scorpio Races and really enjoyed it. I really want to read Cinder. Thanks. My first visit to your blog, but I'll be back! Your list was very interesting. I've taken notes so I can look for many of your recommendations. I've fallen in love with a few new (well - new to me!) authors this year. Fred Warren followed his debut novel "The Muse" with a fabulously eerie sequel, "The Seer". Both are fantastically frightening! I also discovered Cassandra Clare's "The Mortal Instruments" series (4 books) and her newest 2 books in "The Infernal Devices" series. From "City of Bones" all the way through "City of Glass", she had me hooked. I agree with you for most of these - but I really need to read "The Psychopath Test" - everyone keeps saying it's awesome, and seeing it here kind of joins the chorus. I should add it to my tbr. Thanks for the giveaway! I havent read a lot of these yet I guess I need to catch up on some great books! This year I discovered The Black Jewels Trilogy by Anne Bishop and the Fever series by Karen Marie Moning. So good!! I loved Cinder as well. If only we didn't have to wait until next year for the sequel. I also enjoyed The Emerald Atlas by John Stephens, Okay for Now by Gary Schmidt, and The Unwanteds by Lisa McMann. I fell in love with rot and ruin this year!